Τοποθετημένο στην υπέροχη περιοχή της Περιοχή 1, το Happy Homes χαίρει μιας επιβλητικής θέσης στη ψώνια, νυχτερινή διασκέδαση, εστιατόρια κεντρικό σημείο της Ho Chi Minh City. Από εδώ, οι επισκέπτες μπορούν να έχουν άμεση πρόσβαση σε όλα όσα η πόλη έχει να προσφέρει. Με την βολική του τοποθεσία, το ξενοδοχείο προσφέρει εύκολη πρόσβαση στους προορισμούς της πόλης που πρέπει οπωσδήποτε να δείτε. Στο Happy Homes, η άψογη εξυπηρέτηση και οι ανώτερες εγκαταστάσεις συντελούν ώστε η διαμονή εκεί να σας μείνει αξέχαστη. Το ξενοδοχείο σας παρέχει δωρεάν WiFi σε όλα τα δωμάτια, σταθμός ανεφοδιασμού μπαταρίας αυτοκινήτου, υπηρεσία ταξί, 24ωρη ρεσεψιόν, φύλαξη αποσκευών. για να εξασφαλίσει ότι οι πελάτες μας θα απολαύσουν την μεγαλύτερη δυνατή άνεση. Απολαύστε ανέσεις υψηλών προδιαγραφών κατά τη διαμονή σας. Ορισμένα δωμάτια περιλαμβάνουν επίπεδη τηλεόραση, καθρέφτης, παντόφλες, πετσέτες, σύνδεση internet (ασύρματη) - ό,τι πρέπει για να αναζωογονηθείτε μετά από μια γεμάτη μέρα. Εξάλλου, το ξενοδοχείο διοργανώνει πολλά ψυχαγωγικά δρώμενα έτσι ώστε να έχετε πολλά πράγματα να κάνετε κατά τη διαμονή σας. Έξοχες υπηρεσίες και μια εξαιρετική τοποθεσία κάνουν το Happy Homes την ιδανική βάση από όπου θα απολαύσετε την παραμονή σας στη Ho Chi Minh City. Unlike most postings the pics at this property match what is really there. I found it bright, modern and clean. It has they typical tiny Asian bathroom, but what can you expect. I liked weaving through the allies to find the property amongst other properties. It was quiet and clean in the area. It’s a five minute walk to the backpacker area. I was delightedly surprised to actually get a window with a view of the seasonal lightening storms over the skyline. Vietnammm.com delivers right to your door if it is too wet for you to venture for food. I hope to make this property my monthly if not twice a month get away from the small town I am currently working and living in. I had noticed there was some bad reviews for this property. For this reason I booked only 2 nights in the beginning. Well, I was so happy that not only did I stay for two weeks, I asked the lovely owner Miss Loi if she had seen the bad reviews. Her response being you can't make everyone happy is exactly correct. This hotel is a hidden gem! Friendly staff and anything you require is provided with a smile. 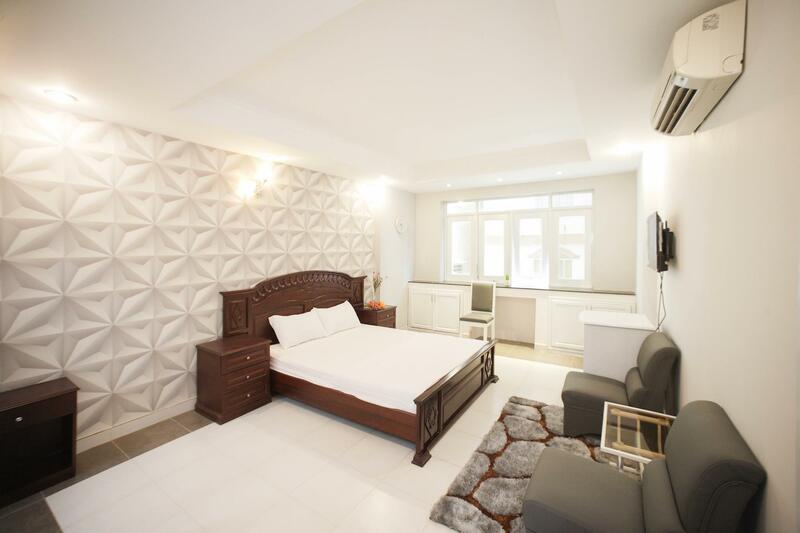 If you want to use an elevator or come and go frequently at night BOOK THE DOUBLE BEDROOMS. The studios are in a walk-up 5-story separate building and has a night security guard with s locked gate. (Great for females as they have an excellent outdoor patio/balcony, whereas the double bedrooms do not. ) The property is very private and heaps of good food around. 10 minute walk to Bui Vien). DO NOT HESITATE TO STAY HERE I THINK THE BAD REVIEWS ARE TO KEEP THE PRICES DOWN AND AVAILABILITY OPEN.) Thank you to Miss Loi and the wonderful staff this is my new home away from home. This hotel was fine for us but it was not as new as the photos made it look. They also didn't have the room we had reserved when we got there so we had to take a different room and then change rooms the next day. They were accommodating when we wanted to book an additional night though. All in all, it was fine for what we needed. Room ceilling paint was tearing off. AC did not work properly. Staff was surprisingly not as hospitable as I always feel in Saigon - one even reminded me to leave berfore 12 pm as she was doing housekeeping. The location is good nevertheless. I am not quite sure but since my room is heavily discounted on Agoda it may affect staff perception of the quality expected (I eventually pay 4 SGD after discounts). Won’t come back but I hope this is my only bad experience. This is scam !why this hotel is 3 star . Not even 1 star! There are not elivator! They change us room to 4 floor not exactly room we want it ! Anyway this hotel is very bad for everything!!!!! This has been resolved with Agoda. But I just want to share it for the benefit of other travelers. 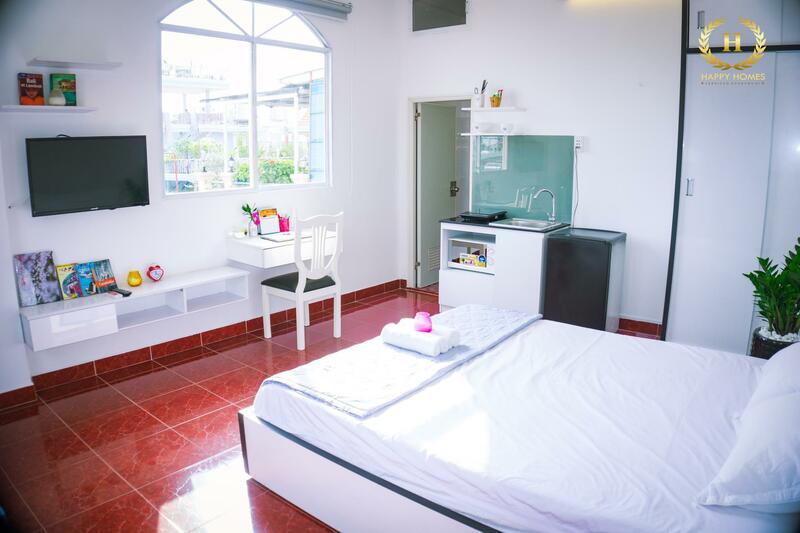 I booked thru Agoda a room at Happy Homes with an address at 178/17 Co Giang Street, District 1, Ho Chi Minh City. At first, the guard-slash-receptionist whom we were able to talk to seemed rude and impolite. We were trying to tell him that we have a booking at Agoda, but he kept on saying that he does not know anything about Agoda and that they are full. He let us talk to his boss through a mobile phone, and we were told that the check-in time is 2PM. So my friend went on a city tour, I volunteered to wait for the check-in time because of our luggages. After maybe 30 minutes, I was cued that the room is already available. 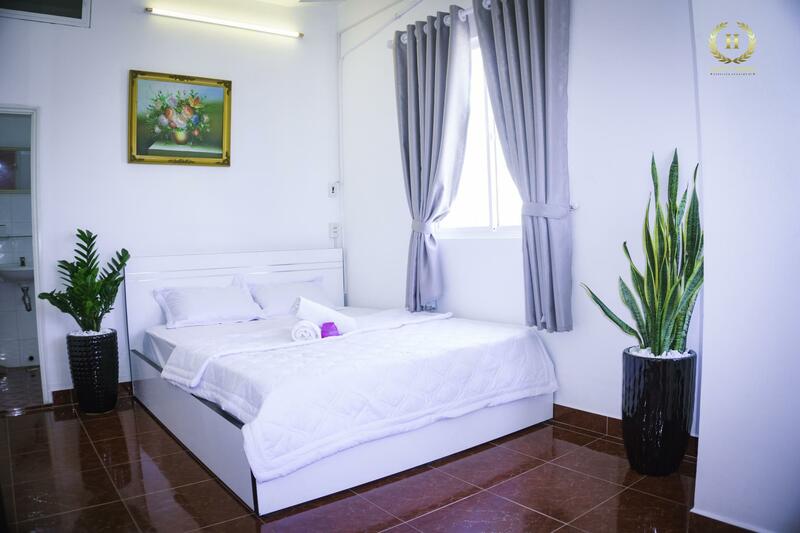 But I noticed that the room is part of the Miss Loi Room for Rent with an address at 178/20 Co Giang District (which is also available at Agoda). The guard-slash-receptionist also got my passport because according to him, they need to verify first if a payment has been done. This was the reason why we called the Agoda Customer Service and request to resend the voucher to my email address. I am glad that Agoda was very helpful in resolving the bad situation. 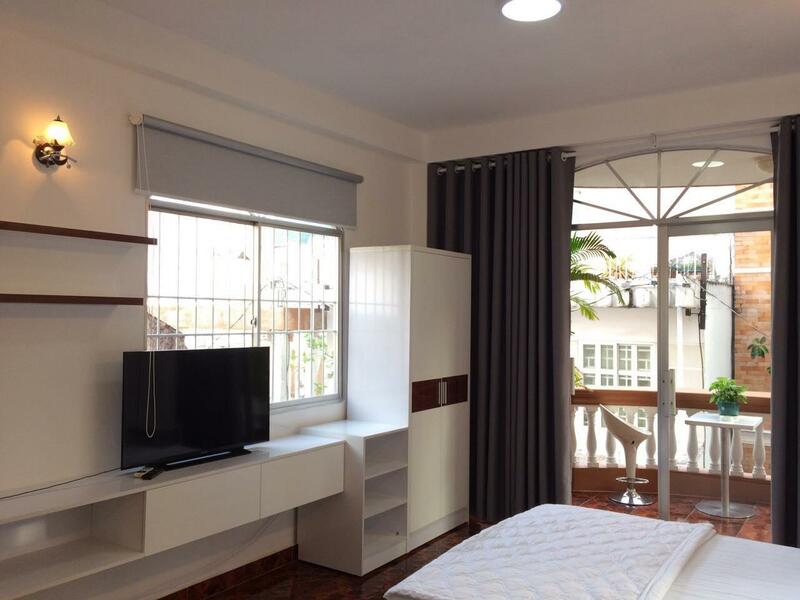 But I hope that Agoda would really ensure that travelers get what they booked for, that if you book for a room at Happy Homes, you'd get a room at Happy Homes and not in other hotel. Thank you. The woman in receptionist with no smile and didn't give any information about our room. She just sit there and playing her phone. The worst part is around 12am to 5am, there is one crazy woman carrying baby on her hand keep on quarrel outside the room. She even banned the door and the baby cry. The sound proof is totally lousy. We can't sleep and tried to complain to the hotel but no action taken. I strongly not recommend this hotel.